A man charged with second-degree murder and indignity to a human body in connection with the death of a Japanese student in Vancouver has pleaded not guilty. Balding and wearing a collared shirt, William Victor Schneider quietly made his pleas Monday morning in front of a jury in B.C. Supreme Court in Vancouver. Schneider, 51, was arrested in Vernon, B.C., on Sept. 28, 2016 — the same day police found the body of Natsumi Kogawa in a mansion in Vancouver's West End. Kogawa, 30, had been missing for two weeks. A police dog found her body inside a suitcase leaning on some shrubs outside Gabriola Mansion, a historic building on Davie Street. After the Schneider's not-guilty plea, prosecutor Geordie Proulx explained the case he planned to present against the suspect during the trial. The 30-year-old had been studying English in Vancouver on a student visa. Friends last heard from Kogawa on Sept. 8. Proulx said she'd planned to meet a friend to talk about a potential job at a restaurant, but never showed up. Her disappearance spurred a high-profile missing persons campaign. 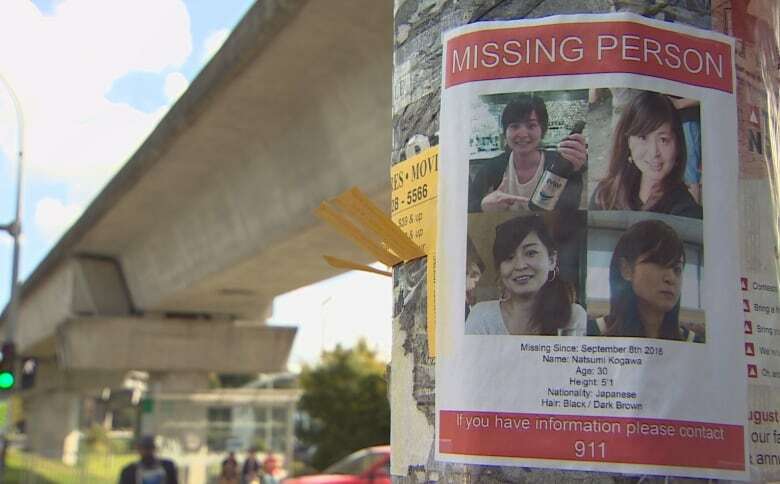 Police tracked her movements and found surveillance video of Kogawa with a man, later identified as Schneider, walking through Vancouver's Harbour Centre Mall. A still photo from the footage was released to the media on Sept. 27. Proulx said Schneider's brother recognized him on the tape and phoned police. The prosecutor said Schneider had been living in a Vancouver hostel for 51 days around the time of his arrest and had spoken to hostel staff about meeting a Japanese woman before suddenly leaving on Sept. 21, 2016. The Crown said after his arrest Schneider told police where to find the suitcase containing Kogawa's body. Court heard an autopsy revealed no obvious trauma, though her liver showed signs of an undetermined quantity of sedative drugs zopiclone and lorazepam. Kogawa didn't have a prescription for either drug, but Proulx said Schneider had past prescriptions for lorazepam. The prosecutor said forensic experts found decomposition was too advanced to determine the exact cause of Kogawa's death.